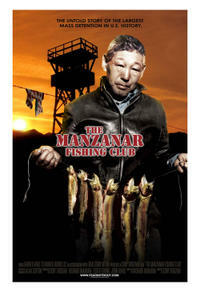 THE MANZANAR FISHING CLUB is a feature-length documentary that chronicles the World War II internment of Japanese Americans from a unique perspective: through the eyes of those who defied the armed guards, barbed wire and searchlights to fish for trout in the surrounding waters of the Eastern Sierra. By emphasizing the evacuees’ personal stories the film shows how a courageous few were able to take back moments of dignity and freedom through the simple act of fishing. As the narrator explains,” While legal battles were being waged in faraway courtrooms, the fishermen were exercising their rights on the ground.” While the “official story” of the internment is known to some extent, THE MANZANAR FISHING CLUB sets the record straight on the largest mass roundup in American history by confronting such hot-button issues as racism, ethnic profiling and the suspension of civil liberties under a National Security rubric.